Great location. Rooms comfortable. Free parking. Nice pub downstairs with wide choice of nice food. Pete in the breakfast area was particularly helpful and kind. The room was warm and cosy. Rib eye steak was awesome. Very good value for money. Excellent breakfast in the morning. 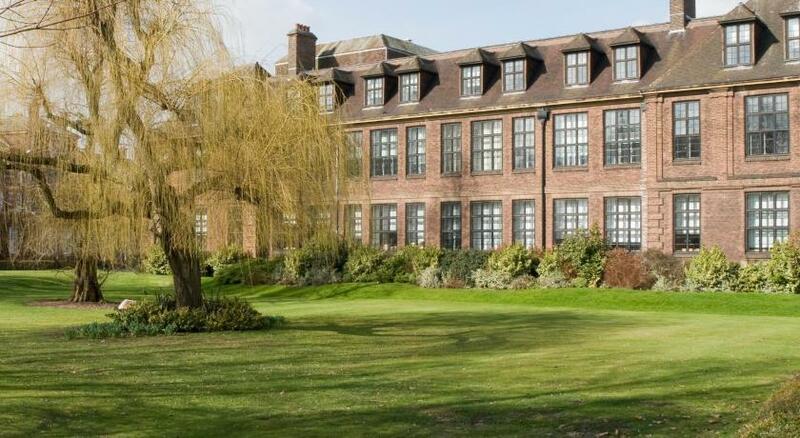 The location - I had an event at the university which is directly opposite. The convenience, friendly staff and comfortable room. Very good price. One of our top picks in Hull.Old Grey Mare Inn by Good Night Inns is a traditional hotel set opposite Hull University. It features en suite rooms, free parking and an onsite pub. Each room at the Old Grey Mare Inn has a flat-screen TV, tea and coffee-making facilities and free Wi-Fi. The hotel offers easy access to Hull's ferry services. The A1079 is less than half a mile away with nearby attractions including The Deep Aquarium, Wilberforce Museum, the Medieval Holy Trinity Church and the famous Humber Bridge. Old Grey Mare Inn by Greene King Inns has been welcoming Booking.com guests since 17 Aug 2010. When would you like to stay at Old Grey Mare Inn by Greene King Inns? A private bathroom, flat-screen LCD TV and free Wi-Fi are included with this room. A hairdryer and tea/coffee making facilities are also available. A private bathroom and flat-screen LCD TV are included with this room. Free Wi-Fi and tea/coffee making facilities are also available. A private bathroom, king-size bed and flat-screen LCD TV are included with this room. Free Wi-Fi and tea/coffee making facilities are also available. A maximum age of 16 is applicable for children staying in this room type. House rules Old Grey Mare Inn by Greene King Inns takes special requests - add in the next step! Old Grey Mare Inn by Greene King Inns accepts these cards and reserves the right to temporarily hold an amount prior to arrival. Children can not be in the pub after 21:00. Please note: This property does not have a lift and all rooms are located on the 1st floor, accessible by stairs. Guests with mobility issues are requested to contact the property in advance, using the details on the Booking Confirmation. Please note that the pub and restaurant will be closed for refurbishment from 19 November to 7 December 2017. No food and drink will be available between these dates. Very friendly staff who explained all I needed to know (even though i arrived very late). The pub was atmosphere was enjoyable. The room was clean and spacious. A bit pricey compared with similar type hotels elsewhere. generally a bit old and tired but we knew that s we stayed there before.Worst thing is the repeated up and down stairs to get to our room. Bed was a little uncomfortable room was basic but acceptable, the kitchen extractor fans outside of the bedroom window was quite noisy. Very good location for visiting Hull University. Good for what we paid!